Happy Holidays from Research Jam! We hope you have great fortune this holiday season and beyond. 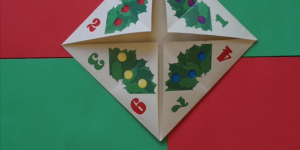 Here’s our gift to you: your very own paper fortune teller.